Sleeping in is impossible for hikers. I was awake at 6:02 am and already trying to do chores. There was more resupply changes, more buttons to sew, and more gear to send home and/or fix. Then it was repackaging food into ziplocks. By 8:30 am hunger took over and we raced over to a bakery where I ate a breakfast burrito and a fabulous cranberry orange muffin. While eating, I realized I was eating with eight female thru hikers from about four different countries. I think it’s great that confident women are taking up thru hiking in record numbers. After breakfast, it was back to the hostel for a nap until Ziplock (formerly known as Southbound) found a place that would pick up hikers in town and take us to a spa for a massage. They also drove us back. 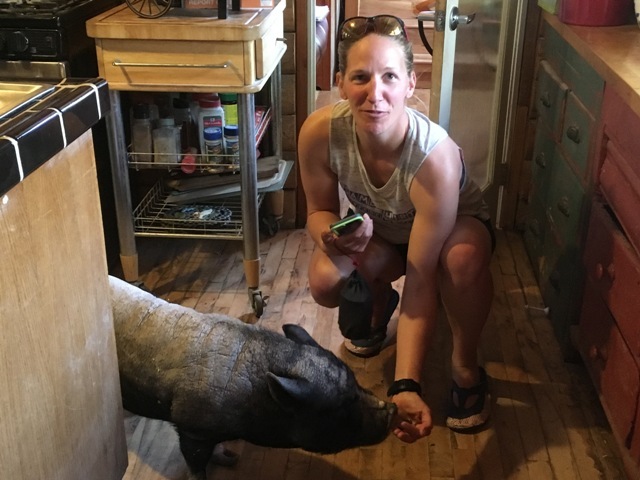 The massage was decent, but the best part was meeting the pet pig that lived there. He was sooo cute! 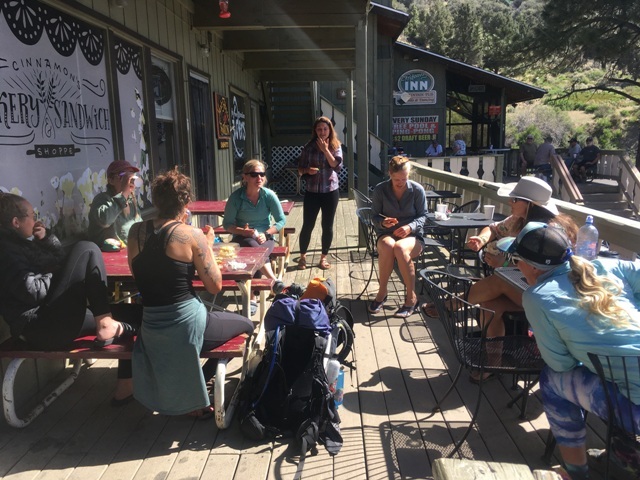 We came back to the hostel where we met up with part of our trail family that had just arrived in Wrightwood. All of us then walked over to an Airbnb that Shank, Pocket Knife, Federica, and Sebastian had rented. Pictured left to right below is Ziplock, Hoosier Daddy, Pacemaker, Pocket Knife, Shank, Opera, and me. 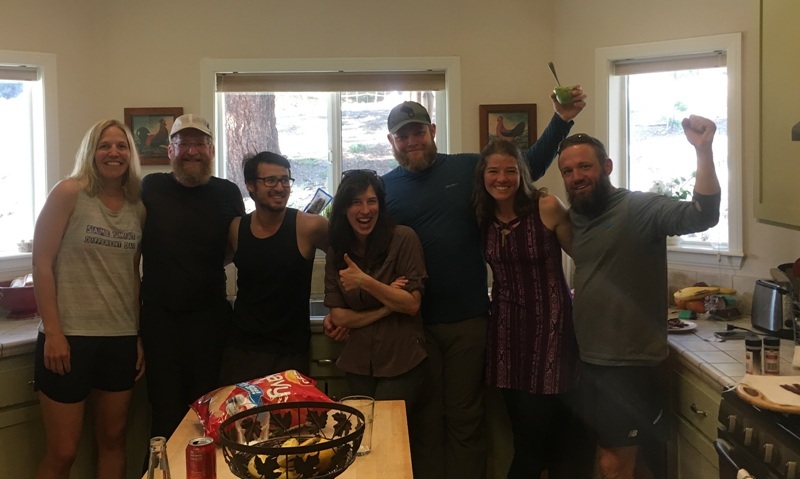 While Shank and Pocket Knife prepared dinner, the rest of us had a very funny thru hiker conversation about blisters, food, heat rashes on backs/asses from hip belts (I win this contest btw). We even talked about inconvenient pooping spots, or better yet pooping spots with a view (or with a train bearing down on you if you are me). 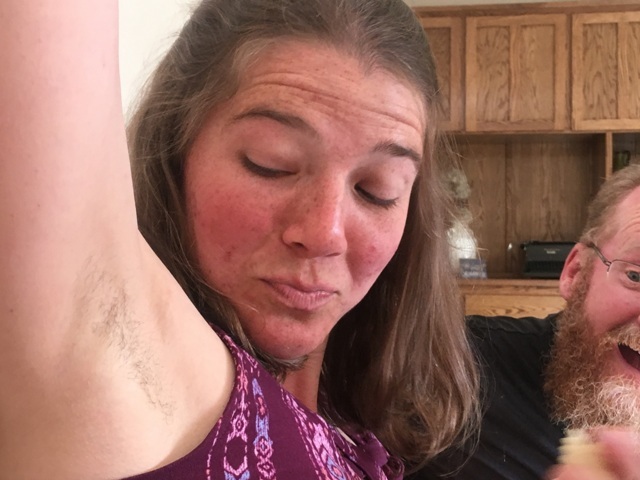 We talked about women’s unique challenges on the trail; like not shaving armpits, or choosing to pee in Ziplock bags rather than getting out of the tent in the middle of the night. I mean, if guys can have a pee bottle, why not a Ziplock for a woman? Opera also gave us all a short and amazing concert! She has a angel-like voice and she sings on the trail while hiking too. When dinner was served, we all were treated with Shank’s remarkable cooking skills. 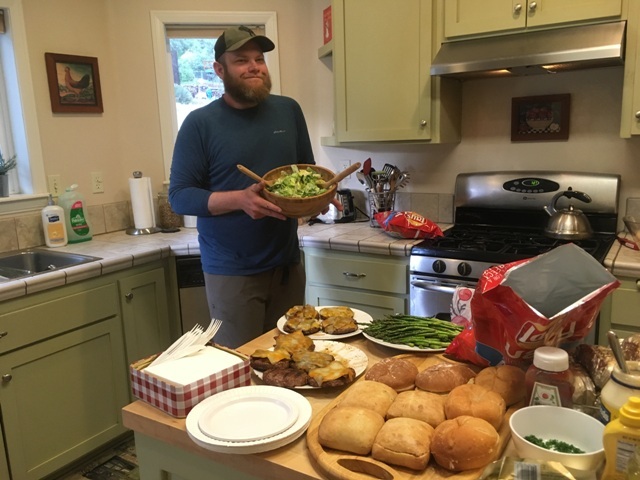 He made us all Caesar salad, mouth watering cheese burgers, grilled asparagus, and baked potatoes. Pacemaker kept feeding everyone beers, and the best zero day ever was in the books by the night’s end. I feel like I’ve finally found my trail family. I love these people in a way only other thru hikers will ever understand. Where else will two Germans, one Italian, one Australian, and five Americans from all different backgrounds come together so quickly, with such real love and care for one another? The only answer is “the PCT”.